This guest commentary was originally posted on The Institutional Risk Analyst. In this issue of The Institutional Risk Analyst, we feature composer and media industry observer Michael Whalen on the prospects for the world of content given the aggressive spending by loss leader Netflix (NFLX). A veteran of three decades in the business of creating and distributing audio and video content, Michael has won two Emmy Awards is a composer of over 650 television and film scores. Question: Can you spend your way to success? Answer: Well, Netflix thinks so. The Economist projected this past June that Netflix will “probably” spend in excess of $12 billion on original programming this year. That’s far more than the $8 billion it was reported they would spend as of October 2017. It would also be way, way more than other studios are spending. HBO spent a reluctant $2.5 billion on content in 2017 (read: “Game of Thrones”), and CBS (the most insightful of the American television networks) will spend just under $4 billion. Upstart Apple (AAPL) will spend about $1 billion on its first few new original content shows. Apple plans to give these shows away for a time starting in 2019 as their platform takes shape and they rebrand iTunes and Apple Music. Apple is planning on spending more than $4 billion by 2022. But, as you will see, that’s barely a drop in the bucket. All those Netflix billions are attracting major talent: Ryan Murphy, Jerry Seinfeld, Barak & Michelle Obama, Chris Rock, Shonda Rhimes and David Letterman to name a very partial list. Netflix will also, according to The Economist, produce, purchase or license an incredible 82 feature films this year, compared to just 23 films for Warner Brothers and 10 for Disney. Goldman Sachs projects Netflix could be spending $22.5 billion on content per year by 2022. This would be more than all the other American television and movie studios combined. Netflix reports that in the second quarter of 2018, Netflix had over 130 million streaming subscribers worldwide. Of these subscribers, 56.71 million were in the United States of America paying $9/month or more on average. Even though the amounts are different, Netflix’ financial power play of 2018 has echoes of another era: The “Golden” Age of Hollywood of the 1930s. A century ago, America’s leading filmmakers settled in and around Hollywood. The many reasons for this westward exodus came down to one factor: location. The enclave of Los Angeles was as far away as possible from the New Jersey home of Thomas Edison. The distance made it impractical for the litigious inventor to sue filmmakers for patent infringements. Furthermore, the LA climate made filming year round possible. Skies were not only sunny but cloudless, providing the consistent light needed for continuity in film. Hollywood was even optimal within the Los Angeles basin; being 15 miles inland, it was little affected by marine fog. 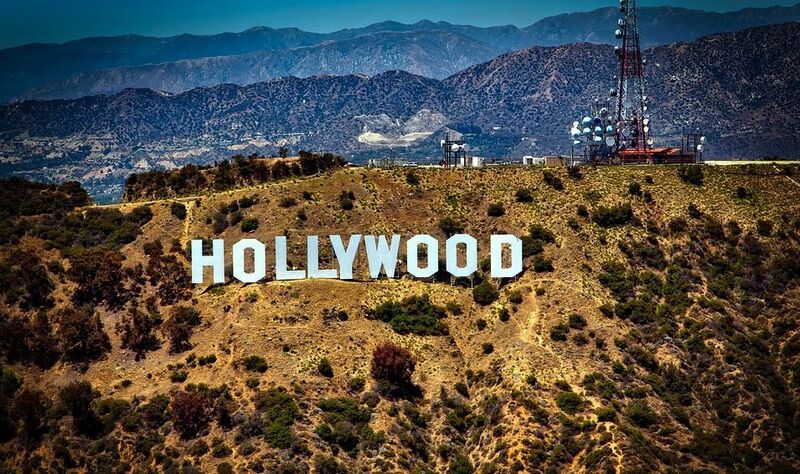 Hollywood’s nearby and eclectic terrains—ranches, mountains, forest, desert and seashore—could pass for most locales in the world, particularly in black and white. Into this world arrived the men who founded the Hollywood studio system—Adolph Zukor, Louis B. Mayer, and the brothers Jack, Harry and Sam Warner— all Jewish immigrants from Eastern Europe. With checkbooks out, they tried to out spend each other to get “top” talent under contract (for a certain number of years or films) and keep these actors and directors away from the other studios. Wind the clock forward to 2018. The studios now are trying to attract talent away from Netflix. For example, Peter Roth (head of Warner Bros. Entertainment) paid Greg Berlanti, who has 15 shows on the air, the most of any TV producer in history. These include several adaptations of DC Comics franchises such as Supergirl and Arrow that appeal to tweens and young women. He’s particularly valuable to Warner Bros., which owns DC as well as half of the CW Television Network, where many of its shows air. Of the 12 series that will run in prime time on the CW this fall, Berlanti is an executive producer of seven. So with two years before Berlanti’s contract was set to expire, Roth offered the 46-year-old a deal worth at least $400 million to stay at Warner Bros. through 2024. Berlanti and Roth both declined to comment on the deal. It is believed to be one of the most lucrative for a TV producer in the history of Hollywood, according to published interviews with more than a dozen executives, agents, and producers. It’s also a sign of how traditional studios, tired of losing their best people to Netflix, are fighting back. Warner Bros. bought out Berlanti’s rights to future profits on all his current shows, what’s known as the "back end," a structure that allowed it to offer him more money upfront than he would have otherwise received. Everything in the world of content is upside down… from the “old days”. The real question going forward is this: Are there enough dollars to support Netflix’ content spend or are the gigantic outlays just a extremely expensive game of “Chicken”? The image of Standard Oil and the "good soaking" of a century ago comes to mind, when the petroleum giant cut prices to eliminate competition. If you believe Netflix’ subscription numbers:, yes, there are plenty of dollars and plenty of ancillary dollars waiting in the wings to support Netflix’ expansion. But we haven’t yet talked about Amazon (where founder Jeff Bezos hates coming in second). Anyone who has looked for the “best” talent knows that it is a finite number of people who create, write, compose, direct, shoot and edit the best material. You can have an endless checkbook… but it doesn’t make the number in the talent pool bigger. They just get more expensive. The other studios will have to decide if feeding off the “bottom” or out at the edge of relevance when it comes to talent is enough for them. For the foreseeable future, Netflix is setting the pace when it comes to spending on new content. And we have not even talked about whether Netflix will ever make money as a business.